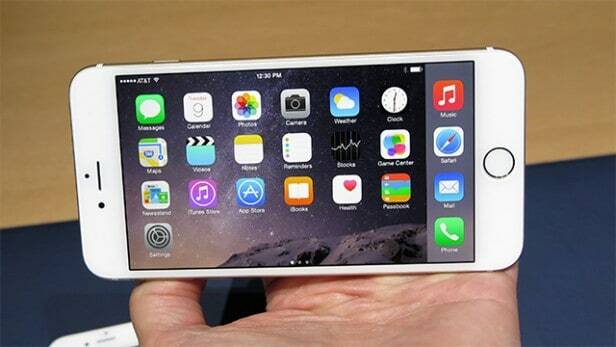 The #Apple is known for releasing smartphones with the best displays available in the market. The #iPhone6Plus is one of such smartphone model of the company that shares this distinction as it makes use of a 5.5 inch Retina display with a resolution of 1080 x 1920 pixels. This does not mean however that this phone will not experience any display issues as it also does. In this latest installment of our troubleshooting series we will tackle the iPhone 6 Plus flickering, black, and blue screen problem. We have selected three problems of this nature sent to us recently by our readers which we will troubleshoot. Problem: I recently had the phone screen replaced on my iPhone 6 Plus. Now when the phone comes on, the Apple icon comes on like the phone is about to power on, but then this blue screen comes up and it just restarts and doesn’t go past that screen. What seems to be the problem? Solution: Try to check first if this problem is caused by a glitch in the phone software by restoring the phone to its original factory condition and setting it up as a new device. If the problem still persists or if you are unable to restore the phone then this issue may be caused by the recent screen replacement. Bring your phone to where you had the screen replaced then have it checked for any hardware related issues. Problem: When i miss an incoming call the phone locks-up or freezes, and have a black screen with text in blue at the corners left upper corner has the word “back” the lower left has “cancel”, the right lower “accept”. There are some text in middle of screen (i don’t remember what) either way when touch any of these nothing happens. I have to turn off/on to clear this. I had this with the ios 8 and still have with the ios 9. I just want find out if this a carrier problem or my phone. Thanks. Solution: This freezing and black screen issue could be caused by software issues. Since your phone did a software update and the problem still persists then it might be caused by some corrupt data in your phone or by some apps you installed. The quickest way to resolve this issue is to backup your phone data then restore your phone to its original condition. When setting up your phone set it up first as a new device. Check if the issue persists. If it doesn’t then install one app then observe if the issue occurs. Repeat this procedure until you have installed all your apps. Solution: Before ruling this as a hardware problem you should first check the software side of your phone. The quickest way to check if this is a software problem is to backup your phone data then restore the phone to its original factory condition. Set up your phone as a new device. If it still flickers then there’s a possibility that this may already be hardware related. You should then bring your phone to an authorized service center for checking.